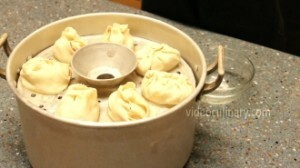 Manti are Central Asian steamed dumplings. 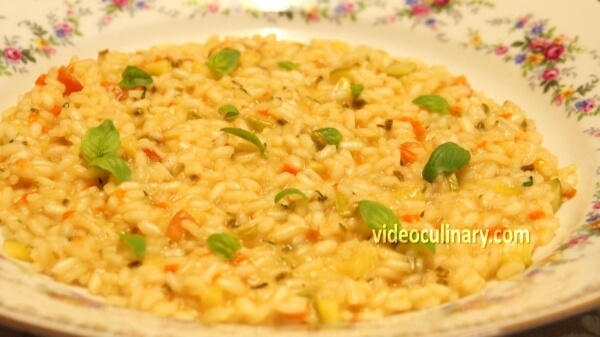 The filling can be made of one or a combination of ingredients. 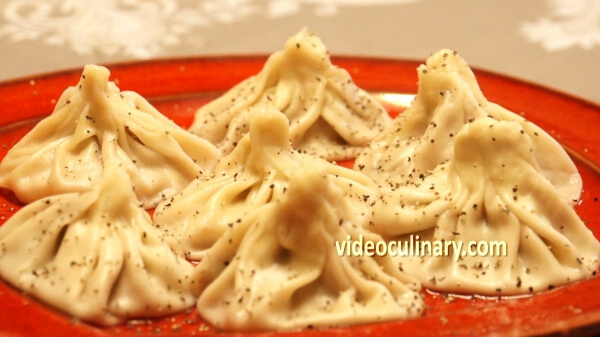 This recipe offers delicious Uzbek Manti (steamed dumplings) with meat and potatoes. 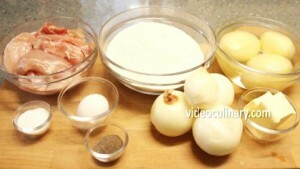 Mix 1 egg, 1 teaspoon of salt and 200 ml (7 fl oz) of water. 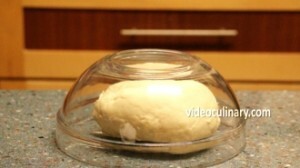 Add into 500 grams (18 oz) of flour and knead the dough until smooth and elastic. You could use a mixer or knead the dough by hand. Cover the dough and let rest for 30 minutes. 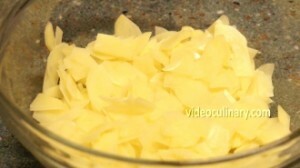 Make the filling: Peel, wash and thinly slice 600 grams (21 oz) of potato. Peel 600 grams (21 oz) of onion. Cut in half lengthwise and thinly slice. Cut 600 grams (21 oz) of lamb, beef or chicken into small cubes. 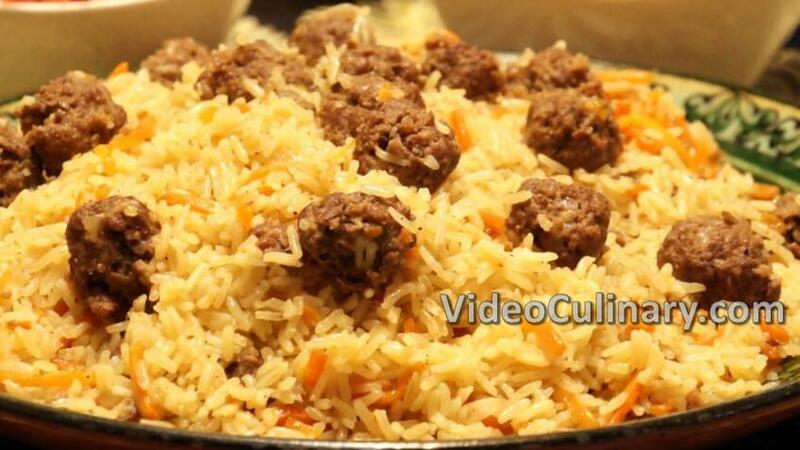 (Alternatively, you can use coarsely ground meat). Add 2 teaspoons of salt and one teaspoon of ground black pepper. Potentially, add 1 ½ teaspoons of ground cumin. Mix everything well and set aside. 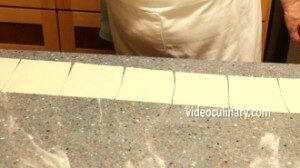 Roll the dough by hand or using a pasta machine, no thicker than1 mm, and cut into 10 cm squares. Place some of the filling in the center of each square and a small cube of butter. 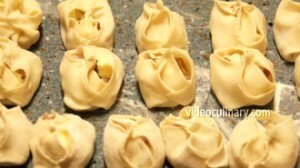 To shape the Manti, pick up the four edges and seal. Pinch the corners together. 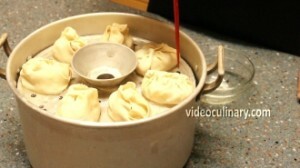 Dip the bottom of each dumpling into some vegetable oil. You could either brush your steamer with some oil, or wrap each steamer layer with plastic wrap and poke holes using a skewer. Evenly space the dumpling. Fill the pot with enough water to cover 2/3 of it, cover and cook over high heat for 40-45 minutes. Manti are ready to serve! Enjoy! 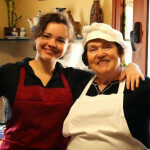 Check out our Khinkali- Georgian dumplings recipe, grandma’s dumpling soup and more delicious recipes from our website. Good luck!